Look fresh as you cruise for burgers in this fiery ride. It's what California dreams are made of. 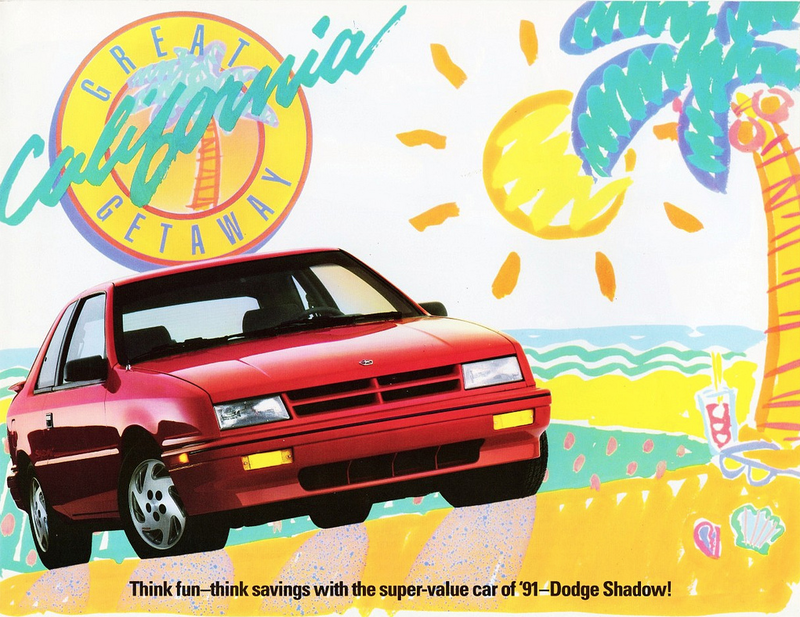 1991 advertisement for Dodge Shadow.